Pauline Newman is a judge of the US Court of Appeals for the Federal Circuit and one of the most prominent women patent lawyers in the world. Newman began her career as a research scientist for American Cyanamid. She then joined the FMC Corporation as a patent attorney and in-house counsel, subsequently being promoted to director of the patent, trademark and licensing department. For many years, Newman was the only female chief patent counsel of a major company. 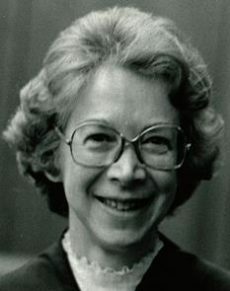 In the early 1980s Newman was instrumental in bringing about a number of patent reforms, including the creation of the Court of Appeals for the Federal Circuit. President Reagan later appointed her to that court.